We are dedicated to being a trusted company with a great reputation in our community for our outstanding service, integrity and deep knowledge and experience for the quality products and work you deserve. We strive to treat others the way we would like to be treated. Larry Finkemeier is Owner of Chief Heating & Cooling, Inc. and is a registered professional engineer in Missouri and Kansas as well as a LEED account executive. 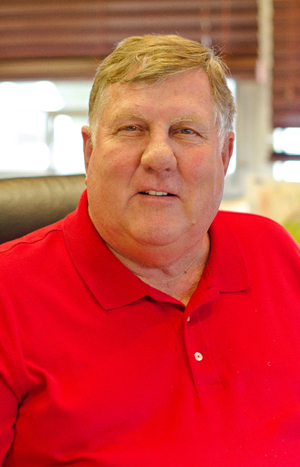 Larry has over thirty years experience in the design and installation of mechanical HVAC systems. Liz is a graduate of the University of Missouri- Columbia. 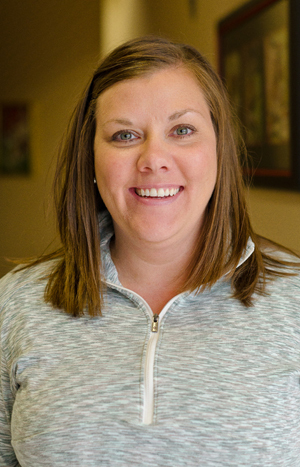 She started with Chief Heating & Cooling in 2003 as our Marketing Manager. Since then, Liz has assumed the roles of marketing, office management, scheduling and bookkeeping- as well as many other tasks. 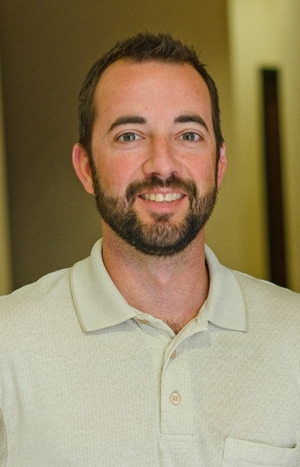 After graduating from the University of Missouri – Columbia, Kyle started with Chief Heating & Cooling in 2004 as our Residential Comfort Advisor. He is the guy to talk to if you are thinking of replacing your home heating & cooling system! He is also the Vice President of Chief Heating & Cooling and handles some commercial estimating / project management. 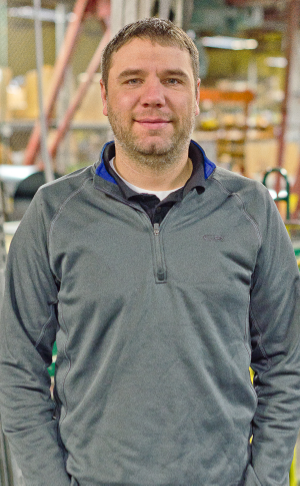 Brian Olberding joined Chief Heating and Cooling in March of 2013 after spending eight years working in project management at the general contractor level. His experience with projects ranging from a new military hospital to small office renovations gives him the knowledge and skills to be an asset on any size and type of project. Please give us a call at (816) 246-4646 to discuss your heating or cooling project. We are happy to provide you a free estimate for installation or replacement. MasterCard, Visa, American Express, Discover and checks are accepted, and financing is available. Chief Heating & Cooling, Inc. took the time to understand my needs and explained options clearly. I checked a few references who were happy with services and workmanship. As an architect I am always interested in the details of construction. Chief Heating & Cooling had all of the right answers from the beginning. And their installation crew did an excellent & clean install. Larry is a “tailgating” friend of my son. He described Larry as a very nice and care giving person. We appreciate having someone to replace the furnace the day after the old one stopped working, especially so because of the zero temps. I was very impressed with Jesse's expertise. He’s great and very neat. I was very pleased with the price of the job and it was completed with in 2 ½ hours. Kyle was detailed in explanation and very polite. I will call your company for all of my HVAC needs. Kyle was more than wiling to work with me to get the system I wanted. Other salesmen tried to steer me to other brands. Eddie put up with all of my questions in a good natured fashion. We were very pleased with the emphasis on customer service that Chief Heating & Cooling, Inc. offered. That, alone, was worth paying a little extra. The professional was so courteous that he was even mindful of a turtle found in our driveway. He made sure the turtle wasn’t a pet, and also took care not to run over it. Workers were good and took the time to do the job right. I felt like they would have stayed here for 2 years to do the job right. Chief Heating and Cooling is a family-owned HVAC company based in Lee’s Summit, MO. We also serve the cities of Lee’s Summit, MO, Blue Springs, MO, Independence, MO, Kansas City, MO, Belton, MO, and Raymore, MO; as well as Olathe, Overland Park, Lenexa, Shawnee, Kansas.